Thank you for a great season! Check back for a new season coming soon. 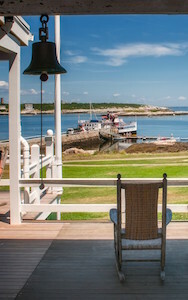 Expertly narrated history tours of Portsmouth harbor, the Isles of Shoals and the New Hampshire Seacoast. This cruise utilizes both vessels. Departure from Portsmouth is aboard our smaller vessel Challenger pictured above. Return to Portsmouth aboard our larger vessel the Thomas Laighton. Narration of the islands is provided while aboard the vessel. 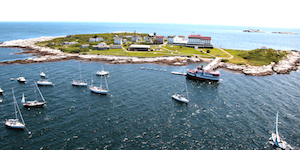 The walking tour of Star Island is self guided with the use of a map containing points of interest and historical information. 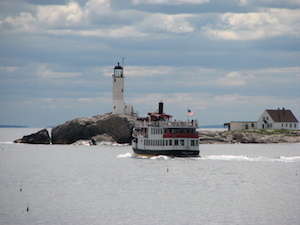 Come join us on the best Party Ship on the Seacoast! The M/V Thomas Laighton steams through the Piscataqua River and Portsmouth Harbor on this 21 and over party ship. 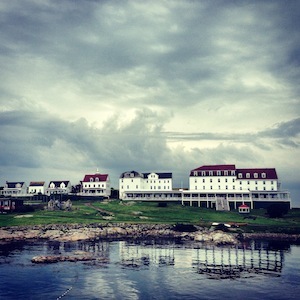 Guests are guaranteed to get a taste of some of the best local music New Hampshire and New England has to offer, a 2.5 hour cruise of the harbor, and delicious drink specials for all to enjoy. Special events are even more magical on the M/V Thomas Laighton! 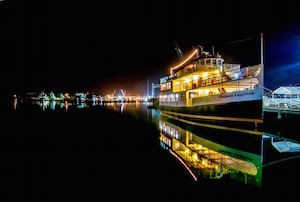 The M/V Thomas Laighton is one of the most unique venues available for your special event. Our 300 capacity passenger vessel truly is a "floating function facility" that can adapt to any type of special event from weddings and rehearsal dinners to company outings and celebratory parties. The best part about chartering our vessel (besides the breathtaking views and tremendous service) is that the boat and all of its amenities are yours alone.